Project Time! | Live Life. Create Dreams. It’s been awhile since my last post. I started classes again, but didn’t realize how tough these eight week courses would be! Now I know how they pack a semester’s worth of material into short sessions–they bombard you with reading and about 12 hours of homework a week per course. Never. Ever. Again. Two courses per eight week session for this girl from now on! Here is what I have been working on when I am avoiding school work have spare time. These are just a couple of mood boards that I worked up using Oliboard. First up we have the general “bones” of my office space. Over the next few weeks I will be posting bits and pieces of the progress and will hopefully have a full reveal in May. Thanks for stopping by! 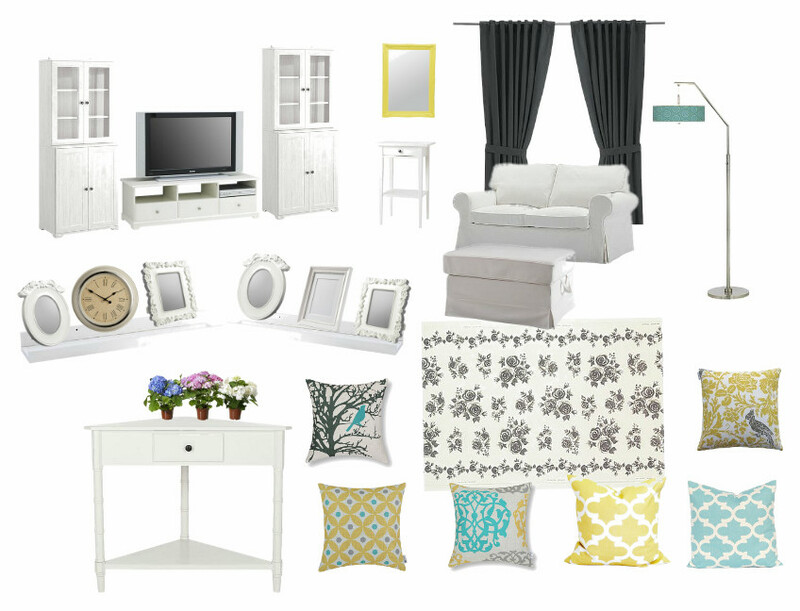 Soon I will have lots of posts up featuring the Ikea inspired rooms. 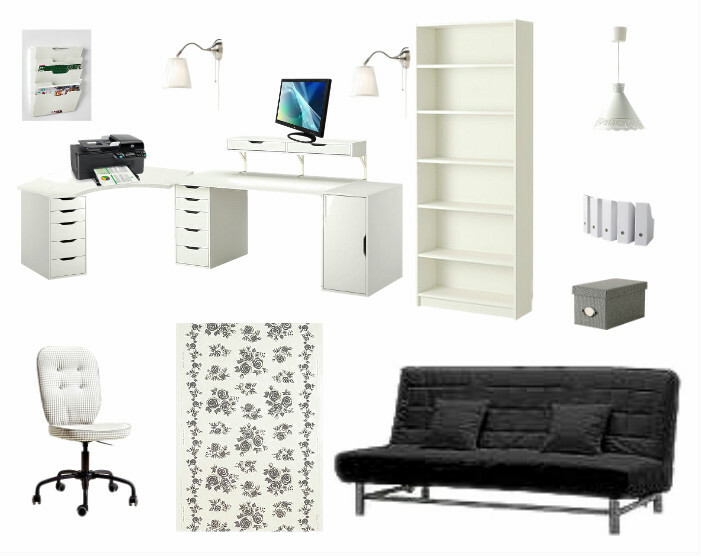 I just made a huge haul yesterday with sofas, Billy bookcases, Hemnes items, and the remaining portion of my desk. The fun part has begun! Ah, Hemnes; the classy section of Ikea! I have a lot of plastic boxes, forgot their name. And of course the Trofast-seriews for all of our Lego 🙂 And probably a zillion more items. Enjoy decorating and assembling!